!! OMG, bye bye for now: Randy Jackson leaves the ‘Idol’ judges table !! I guess he couldn’t keep up with the combined starpower of Mariah Carey and Nicki Minaj, because Randy Jackson is off the judge’s table at “American Idol.” The dawg isn’t disappearing from the show entirely, however, as he’ll be sticking around as a mentor for the new crop of contestants. But with only the previously mentioned divas taking two seats, that leaves two more up for grabs. Whoever fills out the final slots, they better have a good ear for when things sound “pitchy.” Right, Randy? 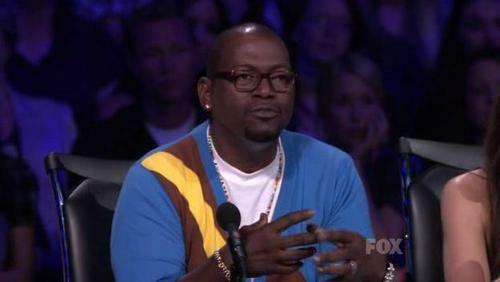 5 Comments on "OMG, bye bye for now: Randy Jackson leaves the ‘Idol’ judges table"
It was time for him to go. He must have finally realized that the judges table was turning into a table of egocentric freaks. I can’t believe they went with Minaj, she’s a neon Gaga wannabe, and her performances are usually rather bad. I haven’t been able to stand Mariah in years either. There were rumors at one point they were going to try to get Kylie Minogue, Olivia Newton John, Neil Patrick Harris, or Adam Lambert to judge, now that I would have liked to see. Smart to get off that train wreck! Two seats up for grabs? I thought there were only three judges (discounting the Ellen fourth seat failure).